The largest solar farm east of the Mississippi will break ground soon in northeastern North Carolina. We explore the Capital Partners Solar Project, which will provide power to universities in Washington DC. Coal fired power plants have taken the spotlight lately. 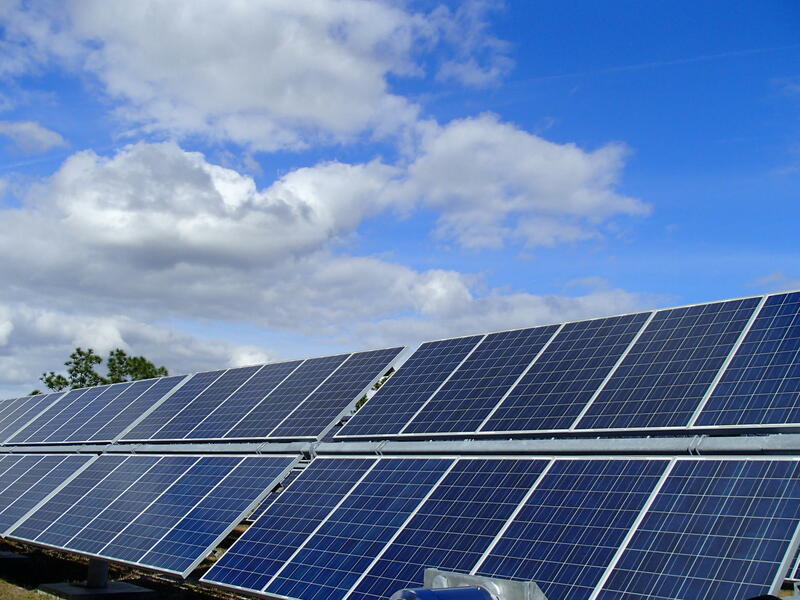 But a new solar project planned for eastern North Carolina may signal a turn toward a cleaner, renewable energy source. When completed, it will be the largest photovoltaic project east of the Mississippi. North Carolina based Duke Energy Renewables announced this week they will oversee development, construction, and operation of three photovoltaic sites in the northeastern part of the state. Solar power would be collected here and sent through the electrical grid to Washington D.C. to George Washington University, American University and George Washington University hospital. The universities announced a multiyear agreement to buy more than 50% of their power from Duke Energy Renewables. Tammie McGee with Duke Energy Media Relations says the first phase of the solar panel project will be constructed in Pasquotank County near Elizabeth City, and will be completed by the end of this year. Dogwood Solar is a 20-megawatt project in Halifax County. Pasquotank solar project will be similar in size. Duke Energy plans on building another 20 megawatt and a 12 megawatt site in North Carolina. Both are expected to be operational and delivering power by the end of 2015. 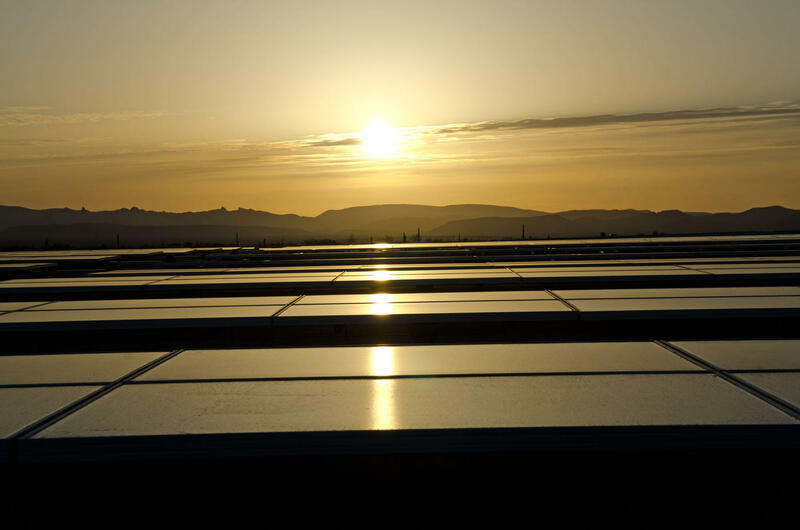 In total, the Capital Partners Solar Project will utilize 243,000 solar panels. The project is aimed at providing cost-effective and renewable power to large organizations in an urban setting. Director of George Washington University’s Office of Sustainability Meghan Chapple says the project started four years ago when the university started exploring ways to reduce their carbon footprint. The university’s goal is to be carbon neutral by the year 2040. Chapple says they reached out to GW’s hospital and nearby American University who were also interested in the project. She says they put out requests for bid and received 28 bids from renewable energy providers. The two universities and hospital announced the solar energy plan that will supply 123 million kilowatt hour of solar power per year. That’s the same amount of electricity to power 8,200 homes each year in Washington D.C. Both universities entered into a 20-year agreement that will provide fixed pricing for solar energy at a cost that’s less expensive than what the universities pay now for conventional power produced by coal and gas. Chappel says the partnership with Charlotte based Duke Energy will provide carbon free power to 50% of George Washington University. American University will also source half of their electricity from renewable power. They’re on track to be carbon neutral by the year 2020. When all three sites go online and 52 megawatts of solar power is being generated, McGee says a total of 60,000 metric tons of carbon dioxide will be eliminated annually. In addition to the environmental benefits, the project should also stimulate the local economy in northeastern North Carolina. Later this year, around the time the first solar panel site near Elizabeth City breaks ground, the location of the other two sites are expected to be revealed. Duke Energy Renewables has built other photovoltaic sites in eastern North Carolina, including the Washington White Post project built in 2012. That site in Beaufort County consists of 53,000 solar modules that can generate electricity for 3,000 homes. The company is nearing completion of solar sites in Bertie, Halifax and Pitt Counties.